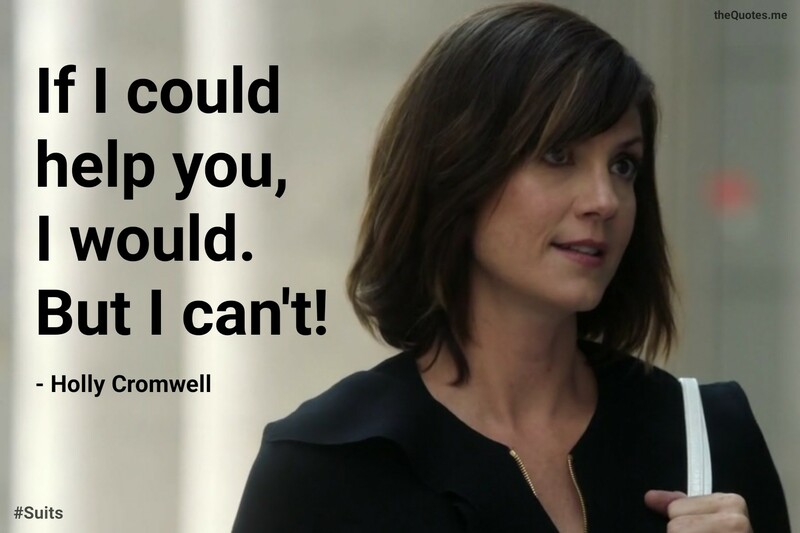 Author theQuotes.mePosted on August 15, 2018 May 16, 2018 Categories Actors, Donna Paulsen, Fictional Character, Sarah Rafferty, SuitsTags Aaron Korsh, against the ropes, against the rules, associate, beg, Break, break the law, cloude, clouded, college dropout, Corporate, Court, Donna, Donna Paulsen, Episode 10, espionage, friendship, Harvard, Harvard graduate, help, high and dry, judge, judicial, judiciary, law, law and order, Law firm, Lawyer, legal drama, legal ethics, Louis Litt, Manhattan, Mid Season, Mid Season Break, New York, new york city, one word episode title, one word series title, paralegal, past, Pearson Darby Specter, Pearson Hardman, Pearson Specter, Pearson Specter Litt, photographic memory, Power, request, rivalry, Sarah Rafferty, Sarcasm, Season 7, Suits, Suits Quotes, Suits Season 7, Suits Season 7 Quotes, Suits TV Show, Suits TV Show Quotes, TV Show, TV Soap, year 2017, younger version of the characterLeave a comment on Help Me! When Donna reached out to Holly for help, Holly apologized as she really couldn’t help this time. If I could help you, I would. But I can’t. 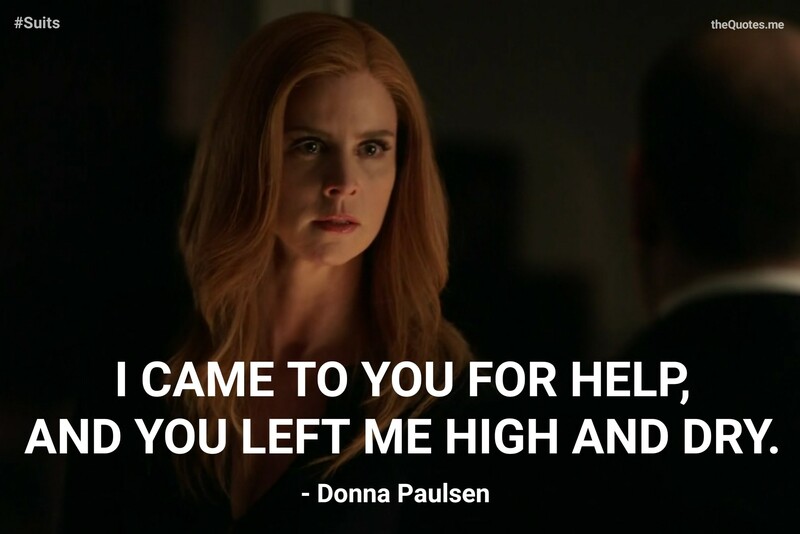 Author theQuotes.mePosted on March 15, 2018 January 12, 2018 Categories Actors, Donna Paulsen, Sarah Rafferty, Suits, TV ShowsTags Aaron Korsh, associate, can't, college dropout, could, Court, Donna, Donna Paulsen, Episode 10, friendship, Harvard, Harvard graduate, help, Holly Cromwell, judge, judicial, judiciary, law, Law firm, legal drama, legal ethics, Manhattan, New York, new york city, one word episode title, one word series title, paralegal, Pearson Darby Specter, Pearson Hardman, Pearson Specter, Pearson Specter Litt, photographic memory, rivalry, Sarah Rafferty, Sarcasm, Season 7, Suits, unable, would, year 2017, Zoe McLellanLeave a comment on Can you help me? Not the coward’s way out. 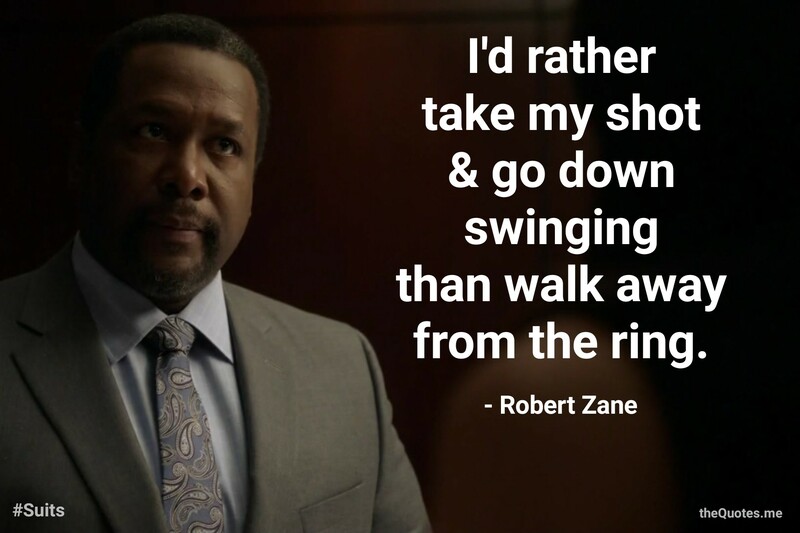 Author theQuotes.mePosted on November 15, 2017 March 30, 2018 Categories Actors, Robert Zane, Suits, TV Shows, Wendell PierceTags Aaron Korsh, arena, associate, attitude, Break, college dropout, Court, Donna, Down, Episode 10, face the fear, Fight, friendship, Full Disclosure, Harvard, Harvard graduate, help, I'll take my chances, judge, judicial, judiciary, law, Law firm, legal drama, legal ethics, Manhattan, Memorable Quotes, Mid Season, Mid Season Break, New York, new york city, one word episode title, one word series title, paralegal, Pearson Darby Specter, Pearson Hardman, Pearson Specter, Pearson Specter Litt, photographic memory, ring, rivalry, Robert Zane, Sarcasm, Season 7, Soap, spirit, success, Suits, Take Chance, take the shot, TV Series, TV Show, TV Soap, Wendell Pierce, win, year 2013, year 2017Leave a comment on Not the coward’s way out.